Disclaimer: Rosy Thornton (who is a friend as well as a favourite novelist) kindly offered the Bookfox collective a review copy of Ninepins on its release. I was the lucky Fox who was quick enough off the mark to secure it. With that said, on to the review. I knew the title of Rosy Thornton’s latest novel some time before its release, and I wondered about its provenance right up until the book was in my hands. Thornton’s previous titles—More than Love Letters, Hearts and Minds, Crossed Wires and The Tapestry of Love—are eloquent, giving a clear little window into the story and its themes. At first sight, Ninepins is considerably more opaque. I had visions of throwing rounds of cheese at wooden skittles. As it turned out, though, Ninepins is the name of a house, an old tollhouse in the Cambridge fens, home to divorced academic Laura and her twelve-year-old daughter Beth. And the title is, in fact, completely fitting. 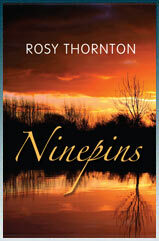 Ninepins isn’t just a backdrop to Thornton’s story: it’s something considerably stronger, a dominant presence that draws the central characters together and binds them, even when their differences seem insurmountable. The story begins with a new arrival: troubled seventeen-year-old Willow, come to inhabit the converted pumphouse of Ninepins as a lodger. 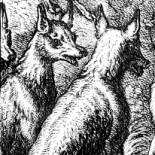 It is immediately clear that Willow’s needs are far more complex and intense than those of Laura’s previous, student tenants; and, in the course of the narrative, she gradually establishes herself at Ninepins, drawn uneasily to the main house and Laura and Beth’s company. The fragile web of relationships between the three is both enriched and further complicated by the presence of Willow’s social worker Vince, who becomes a paternal figure to this odd little household. Thornton portrays the delicate, changeable dynamic between her characters with a light but sure touch as the four draw closer and the uncertainties of their situation—Willow’s fascination with fire, her unpredictable and dangerous birth mother, and Beth’s uneasy transition into adolescence—become ever more urgent, taking on explosive potential. Thornton’s writing is never “easy reading,” in the sense that it always tackles messy personal and political issues; but Ninepins does not have the comic brio of Hearts and Minds or the lush romance of The Tapestry of Love, and is accordingly a much more emotionally demanding read. However, it is also well-written and tightly constructed, which maintains the narrative tension and makes it a compelling read as well as a demanding one. I recommend Ninepins unreservedly; my only caveat is to set aside time. Thank you for a lovely, thoughtful reading, Kirsty, and a kind and generous response! I’ve had the pleasure of reading ‘Ninepins’, and I think you have summed up its qualities admirably, Comrade K. I thought it was magnificent. For my own part I’d add how vivid I found the landscape of the Fens, and what a powerful presence it was in the novel – taking on a life of its own, almost. As you say, we are also invited to enter a new emotional landscape, and I agree with you about the strong claim it makes on the reader’s attention. Congratulations to Rosy on yet another brilliant novel, as different from her others as each are from each other, but with the same warmth, perception and empathy with her characters. Aw, thanks, Hilary! You’re very kind. Well, this sounds far more interesting than the bowling alley the title suggested. And your review, Kirsty, certainly left us wanting more. Ms. Thornton’s books are hard to find in Cleveland, but I may ask my library branch to special order this one! This entry was posted on May 4, 2012 by kirstyjane in Entries by Kirsty, Fiction: 21st Century, Fiction: general, Fiction: literary and tagged Cambridge, Family, Fens, ninepins, Rosy Thornton.